Jessica Simpson from Mojacar se Mueve is in “El Mundo” talking about demands for an investigation into the massive postal support for the PP party in the municipal elections. Out of the nine parties involved in the elections, eight have now joined the demand for an investigation. The PP says that no investigation is needed and that it’s all sour grapes. The PP (Rosmari) won an absolute majority, in part, thanks to quite a few postal votes turning up voting for her. 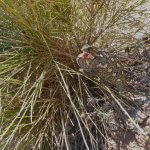 This entry was posted in Articles and tagged 22-m, mojacar, municipal elections, pp by David. Bookmark the permalink. In La Carolina (Jaén), the percentage of postal votes was 18%. The PSOE has successfully challenged this and a local judge has opened an investigation. Looks as though it was written over here – not the usual DT style!